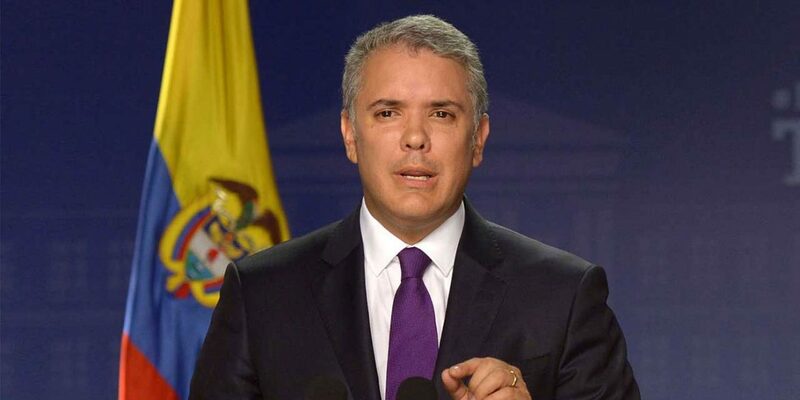 Tensions are rising between the United States and Colombia, as Colombia’s President Ivan Duque has seemingly changed his rhetoric to respond to US President Trump’s harsh criticisms this week. Duque was humiliated by Trump, after he said that Duque “has done nothing for us,” and then Thursday pointed out during a speech in Texas that the drugs from Colombia arriving in the United States have gone up 50% since Duque took office. Trump also accused Colombia, along with Honduras, Guatemala and El Salvador of sending criminal migrants to the United States because, “they think that the people of the United States are stupid,” and will take them in. The initial criticism prompted shock in Colombia; editors at Colombian paper Semana called it one of the greatest blows of Trump’s presidency and the former defense minister Gabriel Silva said Duque has based regional policy on his close alliance with Trump, especially on Venezuela. Colombia is a country that knows how to construct alliances. This is a country that has never had a servile foreign policy. Totally to the contrary, it has had a dignified foreign policy, respectably, we will continue to maintain this with any country in the international community. Duque has made several controversial decisions which favour US interests, including pushing for a return to the unpopular practice of glyphosate fumigation, and refusing to pass the statutory law for the war crimes tribunal, objecting to a statute that allows the war crimes tribunal authority over whether or not criminals can be extradited to the United States. The criticism comes after US ambassador Kevin Whittaker stood alone in the international community in supporting Duque’s attacks on the war crimes tribunal, primarily because of the shift in power over extradition, which previously allowed the US to extradite people without having to show evidence. We keep advancing in the fight against drugs because it is our moral duty and because we owe it to, and the Colombian people. And because we always have our heads held high.